So nearly! He loves to scrawl out little letters when he is drawing, little spiral-circle shapes. Speaking has been the biggest advancement, he has grown so much confidence in trying out new words and I love that I can now have little conversations with him, we can understand each other. He also has secret words for things, almost like a code! There are still secret terms only Oscar knows and he gets quite frustrated when I can't understand. His favourite words to say are 'orange juice', 'oh no! ', 'oh dear-dear', 'ooop deeesy', 'apple', 'reesh' for rice and 'paapoo' for purple, so cute. He is very interested in numbers and loves to count his cars, up to the number four. We had lots of fun counting all the points on the stars and he even managed a number 'foise' for five. He is so caring and adores the toy animals at his playgroup! Oscar is doing really well at his group, I am so proud of him. He has definitely become less shy and will even go and sit at the tables with the other children. Every capture I have of him is a live action shot because he is always on the go, we joke that he has stolen all my energy because he is always dashing about, whooshing his cars along the floor or sorting things. 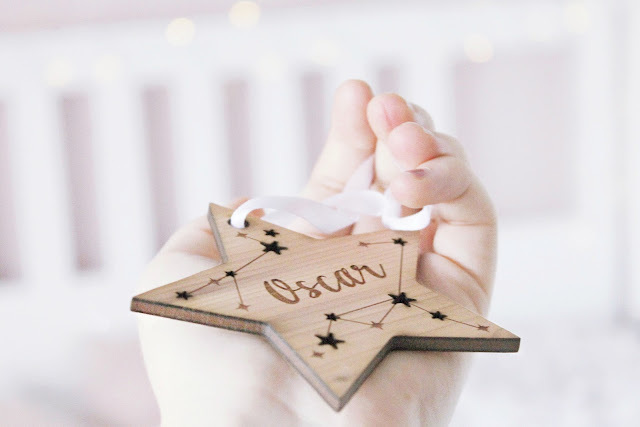 You can find this ornament here, I love the Scandinavian feel about it and they will make perfect baby's first Christmas ornaments; such special keepsakes! He knows which letters and numbers are which, it feels so unreal and wonderful that he is starting to read on his own! I love all the funny things he points out, when someone is wearing a hat, he goes 'awwww' when he sees a cat or dog and laughs at their tail, when he tries to say the gerbils' names: 'Shoo-see' and 'Hi Hi', and has named one of our new baby girl gerbils 'Meemoo'. We tried his Halloween costume on after his bath and he just would not keep still! 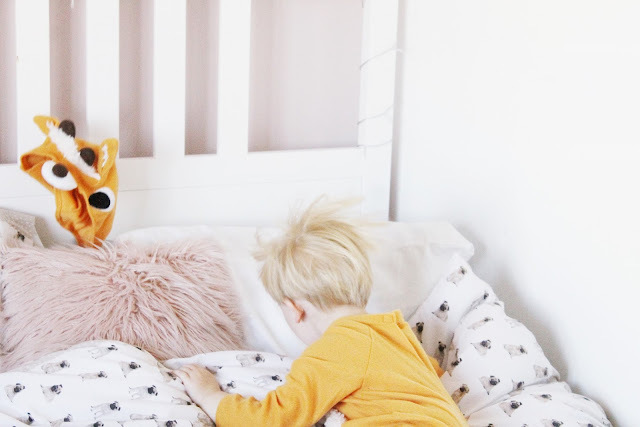 This live action capture makes me laugh out loud every time, I managed to capture Oscar throwing his fawn hat across the bed, which sums up his reaction to it pretty well. Sometimes those candid captures or 'snaps gone wrong' are the best! 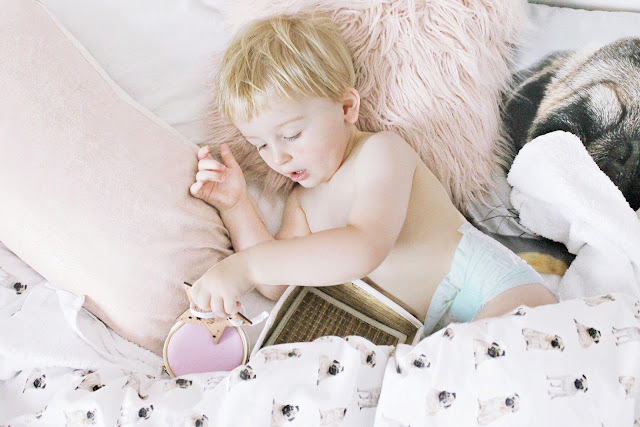 Amazing post, so lovely photos, cute! Aww that is so beautiful! This post made me smile. Oh so cute! Love the pug bedding. 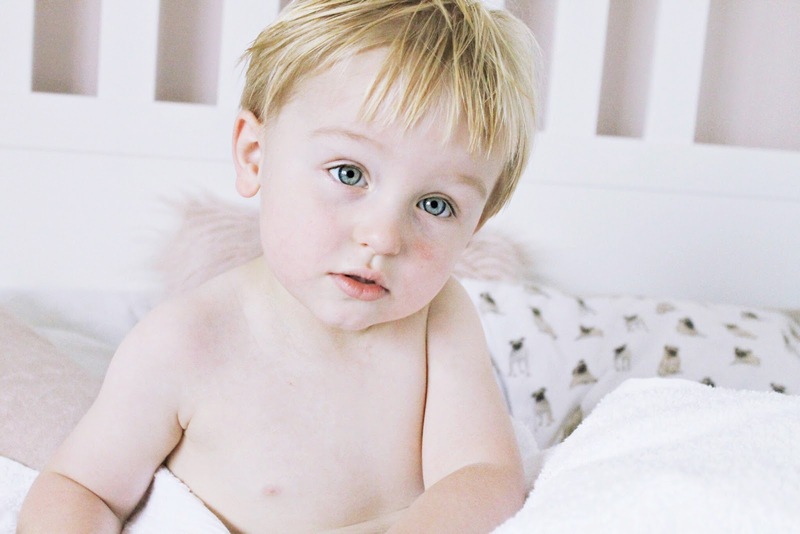 Your blog is simply stunning - Thank you for writing such a cute post, it really made me smile especially with that hat action shot! The ornament is so beautiful I will have to order myself one! 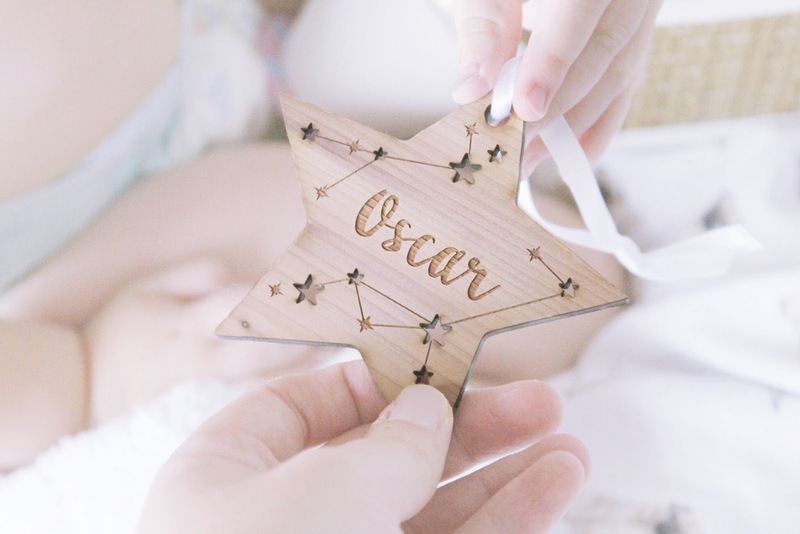 Oscar is growing into such a cute little boy! It's great that you can have little conversations with him and that his language is developing. The ornament you received is gorgeous, and so well made! 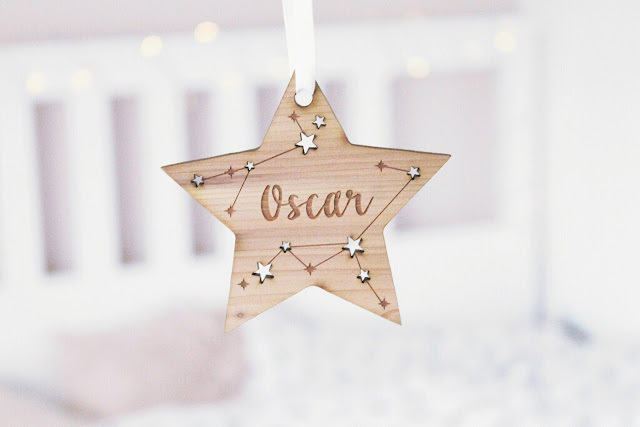 Definitey your style and a nice little token for you to keep as Oscar gets older! Aww what a sweetheart <3 I love this thank you for sharing.